The old saying, “good things come in small packages,” is especially true for the spring bulb garden. Although large Dutch tulips and yellow daffodils certainly have their place in the garden, spring-blooming miniatures–called minor bulbs in the nursery trade–add pizzazz. Most are prolific bloomers, with some, like snow drops and snow crocuses, among the first to flower in the spring. The rules for planting these miniatures are the same as for any spring-flowering bulb. You need to get them in the ground in the early fall. This allows them to develop a strong root system, before the ground freezes. But because the blooms are tiny, you will need to plant them fairly close together, en masse, to provide impact. 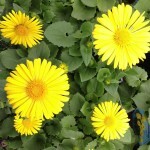 Their small size also makes them the perfect plant for a rock garden or to use along a path or edge of a small property. Because these bulbs are perennials, it’s to your benefit to spend time getting the soil ready. They need a well-drained area though don’t worry too much about finding a sunny spot. At the time of their bloom, deciduous trees haven’t leafed out yet, so there’s adequate light filtering through the leafless branches to keep these plants blooming. By the time the tree canopy has formed, the miniatures have already gone dormant. With a spade or pitchfork, loosen the soil to a depth of about ten inches. If you are planting under trees, take care not to harm the roots. I tend to plant close around tree trunks. Not only does it look nice, but it provides a buffer to protect from weed trimmers and mowers! 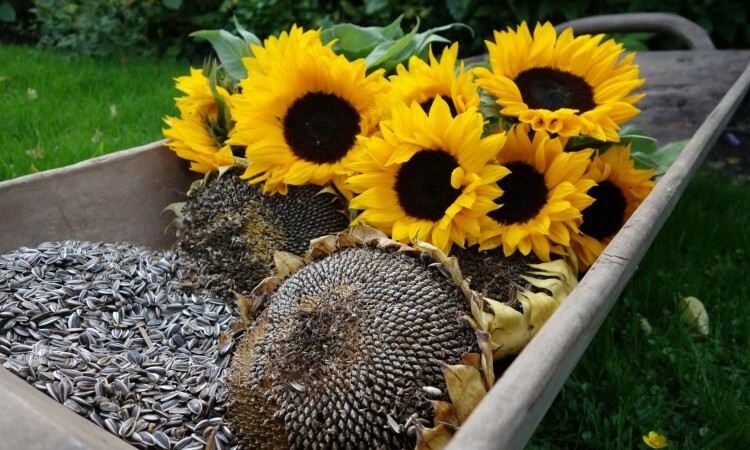 Work in plenty of compost, shredded leaves, or other organic matter to add nutrients. If your soil is heavy clay, adding sand with the organics will loosen it up and improve drainage. If you are preparing the area well in advance of planting time, you could add a slow-release fertilizer. But if you plan to fertilize when you plant, use an organic fertilizer or compost to avoid fertilizer burn. Products designed especially for bulbs are available at commercial garden centers. Avoid using bone meal as this will attract skunks and other rodents who will dig up the bulbs. Plant the bulbs three times as deep as the bulb is high. A one-inch bulb should be planted three inches deep. While many gardeners use a bulb planter to dig holes, a trowel often works better for the smaller bulbs, especially if you are planting them densely for a stronger splash of color. Instead of individual holes, dig a wider one for several bulbs. I often dig a zigzag trench. Place bulbs in the hole with the growth point (pointed end) facing up. Then carefully backfill, replacing the soil you removed. Tamp down gently, then water thoroughly. Mulch with a one- to two-inch layer of shredded pine bark, shredded leaves, or straw for protection against fluctuating soil temperatures. Bulbs are available at many garden centers and through mail order catalogs, which will offer a larger selection and many unusual varieties not found locally. Although it’s probably too late now to order by mail, you may want to get on the mailing list for catalogs. Place your order in early summer for best selection and to ensure you will receive the bulbs in time for fall planting. Here are some ideas, listed by color, of what to try in your garden. Check garden catalogs or ask the experts at your local garden center for suggestions for other miniature bulbs suitable for your area. BLUES AND PURPLES–grape hyacinth (Muscari armeniacum), eight to 10 inches tall, dark blue flowers; striped squill (Puschkinia scilloides), four to six inches, blue or bluish-white, also comes in white; glory-of-the-snow (Chionodoxa), bright blue four-inch blooms; Grecian windflower (Anemone blanda ‘Blue Star’), three to eight inches. REDS AND PINKS–snake’s-head or checquered lily (Fritillaria meleagris), eight to ten inches, checkered maroon pattern; Grecian windflower (Anemone coronaria), three to eight inches, red; Grecian windflower (Anemone blanda ‘Pink Star’), three to eight inches, pink. WHITE–striped squill (Puschkinia scilloides), four to six inches, also comes in blue; snowflake (Leucojum), white bells, blooms late spring, one foot or less (more commonly comes in a giant form with larger flowers); glory-of-the-snow (Chionodoxa luciliae ‘Alba’), early bloomer with four-inch flowers; dwarf narcissus (narcissus ‘Thalia’), less than one foot high, has several small white flowers per stem. YELLOW–crocus (Crocus angustifolius ‘minor’), four inches, deep orange-yellow color with bronze stripes; dwarf narcissus including the petticoat daffodil (narcissus bulbocodium), five inches, yellow trumpet-like blooms; and tête-à-tête (narcissus tête-à-tête), six inches, deep yellow flowers, one to three flowers per stem. Next spring, as new growth emerges, top-dress with bulb fertilizer. After the bloom period, do not cut back the foliage. The leaves manufacture and store food in the bulb to create blooms next year. 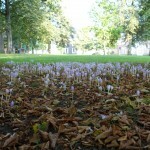 Many gardeners will plant other flowers among the bulbs to hide the dried and withering foliage. Or naturalize in a lawn area that you can wait to mow until late June when foliage on bulbs dies back.